Massage therapy at Parkside Health & Wellness is a wonderful way to reduce stress, relax muscles, reduce pain, enhance your chiropractic corrections. It also makes you feel good. It is amazing how great life can be when you feel relaxed and restored after one of our massages. 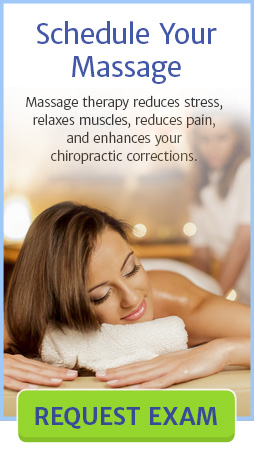 We have several massage therapists on staff to meet your needs. We specialize in deep tissue, myofascial release technique, trigger point therapy, neuromuscular, sports massage, as well as Swedish and relaxation massages to treat muscle spasm, low back pain, neck pain, hip arm, knee, shoulder, and stress related aches and pains. Not sure which one you like we can try to match you to the therapist that will help you the most, or just try them all and see which you prefer. People from Parkland, Coral Springs, West Boca Raton, Margate, Coconut Creek, Deerfield Beach, and Delray come to receive our world class massages. Did you know many health insurances cover therapeutic massage, manual therapy, trigger point therapy, and deep soft tissue manipulation when people are in pain, or have functional loss? We can verify what coverage you have to see if you are covered for those services making them more affordable. You will need to be examined by one of our doctors to determine if and what type of massage therapy / treatment is deemed medically necessary. It’s as simple as that!